Ready, steady, wiggle! Musicians from one of the world's best known music groups — at least, for toddlers — played their first international show in St. John's on Tuesday. 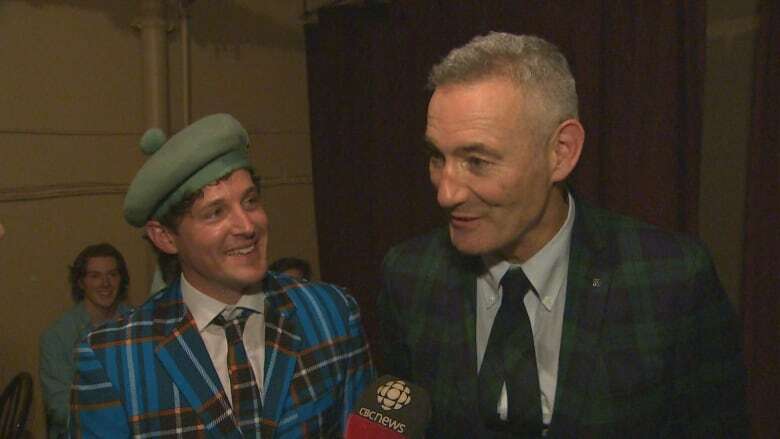 The Wiggles member Anthony Field — perhaps better known as the blue Wiggle — told CBC during a short intermission that they did not choose Newfoundland for that milestone by chance. "This is folk heaven. It's music heaven. 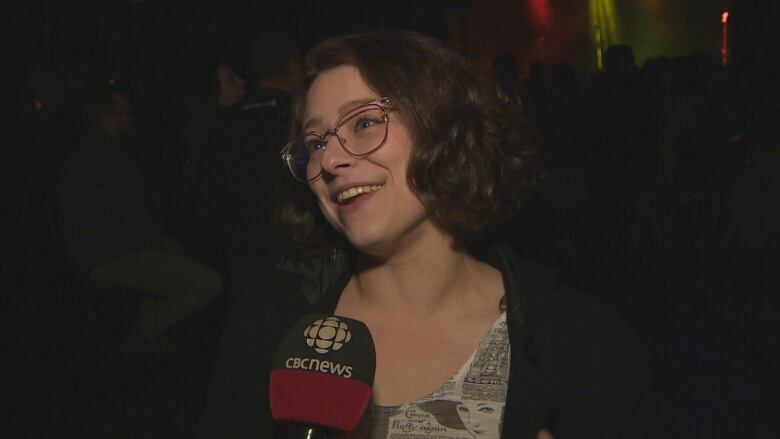 There's an incredible energy in Newfoundland.… it's a musical place. It's enchanting," Field said. Along with Field, the Unusual Commoners is composed of Lachy Gillespie (the purple Wiggle) and Wiggles band members Oliver Brian and David O'Reilly. 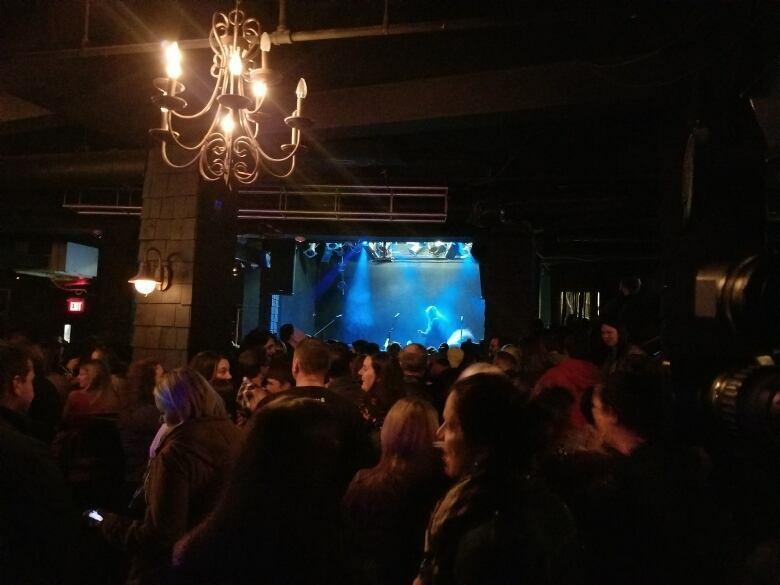 The evening show was moved from the Ship to the Rockhouse, a much larger venue, due to the interest from fans. The Wiggles have been entertaining children in Australia since the early '90s, but gained international success in the early 2000s. 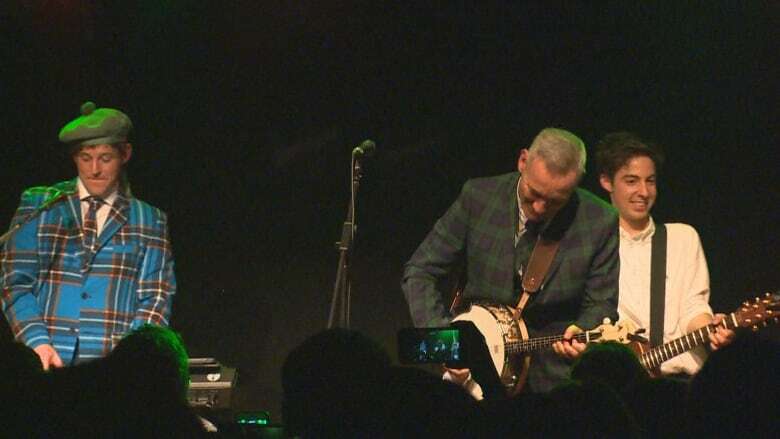 Tuesday night's show was much different than what kids and adults saw at the Wiggles' six soldout shows in St. John's on Monday and Tuesday, instead featuring a mixture of traditional Irish, Scottish and Australian folk songs. Gillespie seemed impressed with the audience's knowledge of folk music, which quickly put to bed any fears that their foray into folk wouldn't be well received. "Everyone knew the words to Fields of Athenry. That blew my mind. Everyone singing the ballads, everyone singing along. It's the best time ever," Gillespie said. At times the audience sang along with the band so loudly that they threatened to drown them out, particularly during fiery renditions of Dirty Old Town and Whiskey in the Jar. The Wiggles have been around so long that many of their early fans are adults now, some with children of their own, such as audience member Nicole Doyle. "[I've been a fan] ever since I was little, really. Then my sisters watched them and now my daughter watches them," Doyle said. An apparent fan favourite, Gillespie's name was screamed out throughout the show. "I heard the Wiggles were in town and I had to come down and see Lachy," Samantha Piercey said. Mark Crandall of New Brunswick just happened to be in the right place at the right time. "I'm here on business and just walked by here and was pleasantly surprised that it's the Wiggles," Crandall said. "I have three kids and we've grown up on the Wiggles, and these guys are awesome." Others were brought out by the oddity of members of a children's group performing at a venue where there were no kids allowed. Despite a last-minute announcement for the show the turnout was strong, making this not only the first international appearance for the band but also the largest by far. "Next year the Unusual Commoners will do six shows," Gillespie said — referencing the six shows in two days that they performed as the Wiggles. All jokes aside, it seems likely the band will return. "Well, the Wiggles did six shows here but I reckon I'm having more fun right now ... I shouldn't say that," Field said with a laugh.